It is common knowledge that design is essential to building a successful business, not matter its niche. A great looking theme will not only keep your users engaged, but will make their experience memorable and will be more eager to share it forward. No matter the content you deliver, your website must have a clean, professional, stylish, and modern look. The easiest way to achieve that is to go with a premium theme. Below is a list with the most popular, powerful, versatile, and overall best WordPress themes, which will hopefully help you save time and guide you towards your favorite one. VEDA is a modern looking theme with design elements meant to enhance the look and performance of any website and leading to more clients and more time spent on the website. This theme is fully responsive and works on all screen size and devices. With VEDA you have a wide range of choices because it comes with over 200 pre-built unique demos perfect for all niches. 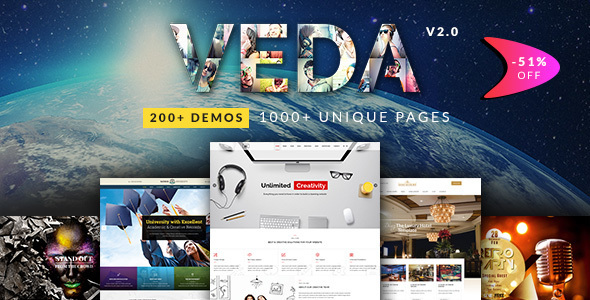 VEDA also offers a variety of coming soon page layouts as well as several layouts for 404 pages. With this theme and its features, anyone can create some eye-catching websites in a matter of hours. 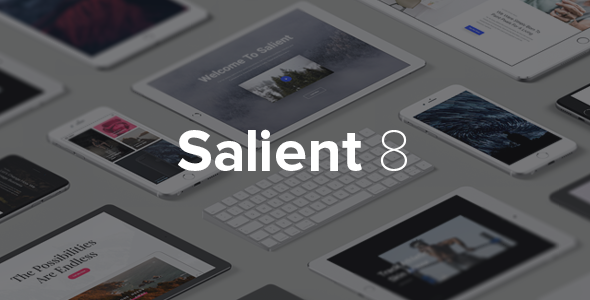 Salient is a multipurpose premium WordPress theme fit for any sort of websites. It caters to the needs of the user and it is very intuitive. Salient is both responsive and translation ready. It comes with over 150 demo designs, 500 shortcodes, 3500 icons, unlimited colors, over 700 fonts, header layouts, 5 blog styles and many more. All in all, if you are looking for a complete WordPress theme that is easy to set up and works right of the bat, Salient is the perfect one. 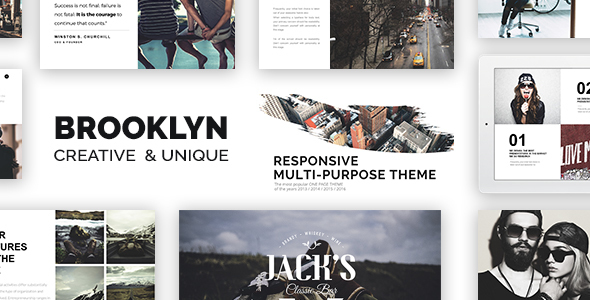 Brooklyn is a premium professional, clean and modern WordPress that can fit multiple purposes. It can be used on any type of website and it will certainly make it unique and creative. It is retina ready and it comes with a powerful and intuitive admin panel. This theme’s developers have created 27 unique demos create websites from scratch in minutes. 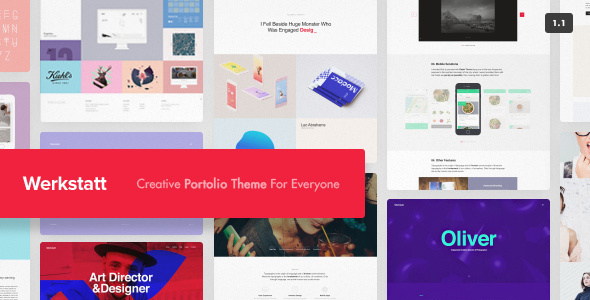 It includes easy portfolio management system to craft unlimited layouts of portfolio pages. The built-in pricing table manager will help create price table quickly. Furthermore, Brooklyn is translation ready, and it comes with a page builder. Soledad is a theme with a unique design and highly customizable. It has an impressive 2000 demo homepages you can choose from, and that’s not all. With over 800 sliders and blog magazine combinations and 400 customizing options, we have to give it to them – this is a truly flexible theme. It can be used for various applications from blogs to reviews and magazines. The theme is compatible with Visual Composer, WooCommerce, PolyLang, and WPML. And of course, it comes with all the Penci plugins to enhance the theme. 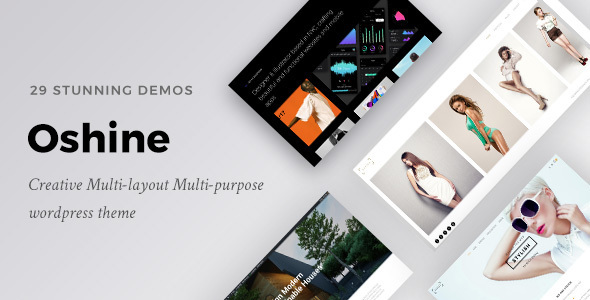 Bridge is among the best-selling multipurpose themes on ThemeForest because it is a theme focused on efficiency and speed. It is highly customizable, packed with features, and with built-in performance options, Bridge is a great choice for any sorts of websites. This theme comes with over 200 premade demos, a full documentation to help beginners set it up easily, unlimited fonts and colors, advanced theme options, responsive design, and over 500 powerful shortcodes and options to truly make the website your own. 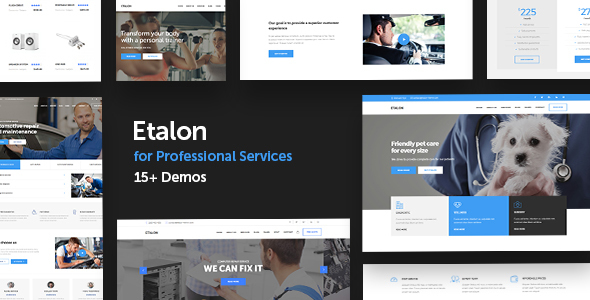 Etalon is the ideal multipurpose WordPress template. It comes with 15 demos that are designed for different niches and you cannot go wrong with either of them. All its features were purposely selected for their usefulness so the theme is not overloaded with features you will most likely never use. This pixel perfect theme offers Google Map integration, is compatible with Contact Form 7 and is SEO friendly. Display your content in an ordered way using the tabbed layout, as well as showcase images with the drag and drop photo gallery. Select your best testimonials and display them beautifully with integrated the testimonials carousel. I recommend checking out the demo and see what more Etalon can do for you. The 7 is one of Envato’s most popular themes with 75,000+ sales and 5100+ ratings. It is easily one of the most customizable themes on the market with more than 750 theme options. The 7 includes 6 premium plugins for free, a lifetime of updates, 31 pre-built websites ready to go, and professional support 24/7. Additionally, it is SEO ready and mobile friendly, multilingual and translation ready, it packs an infinite number of layout combinations, as well as an extensive documentation. Users love The 7 and it is not hard to see why! Oshine is a premium quality multipurpose WordPress theme. This theme is very friendly and intuitive both for users and site viewers. Oshine is fully responsive, optimized for speed, modern, versatile, and overall a pleasure to play with. Oshine comes with its own page builder, Tatsu, which have over 50 styling modules, a live text editor, and lots of pre-built concepts. It is an ideal theme for photographers, businesses, blogs, and many other. Thanks to its powerful builder you can craft stunning designs and layouts perfect for any kind of website. Merchandiser is simple, professional, reliable multipurpose WordPress theme. It comes with a beautiful and minimalist design that allows versatility. It is responsive and easy to set up through its theme panel as well as using Visual Composer. Merchandiser is ideal for ecommerce websites in need of beauty and functionality combined. 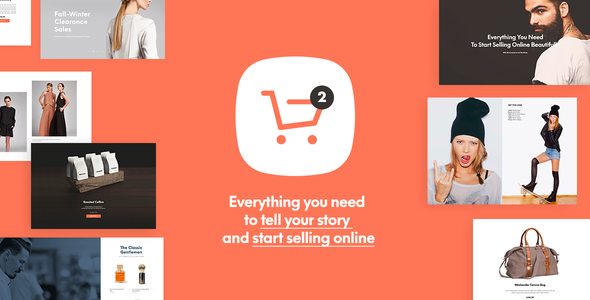 You’ll get extended shopping catalog options, infinite scrolling, widgetized search, off-canvas shopping cart, off-canvas quick view for products, and product galleries. It is also fully compatible with WooCommerce. You can create any sort of ecommerce website with Merchandiser without invest too much time or money. 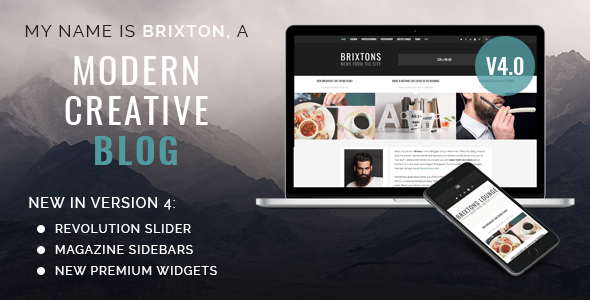 Brixton is a premium theme designed to facilitate the process of adding content and improve the presentation. With a rating of 4.78 it is safe to say that users love this theme’s quality and reliability. With the release of its latest update, Brixton features 6 more stunning demos you can play with. It is more than obvious that this theme is a great platform for storytellers. The support team is already ready to help and the theme is well documented. Divi is a beautifully designed theme, perfectly fitting to any type of content. It is unique, modern and cool without being overbearing. Divi is the ideal theme to showcase your services, portfolio, and work, and amaze your visitors visually. Divi is highly intuitive and customizable and it facilitates the creation of unique and stylish websites. Divi is known for its incredibly fast step up and installation process, that literally takes only minutes. In addition to this, using Divi, your new website will be compatible with all mobile devices and browsers. 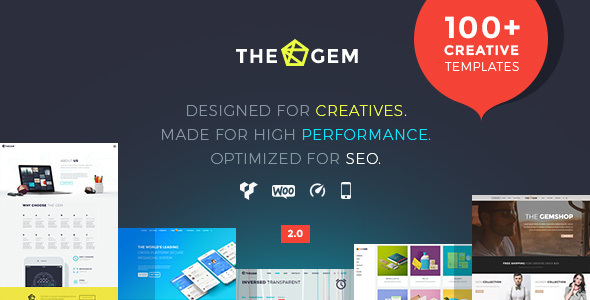 TheGem is a premium WordPress theme perfect for creating stunning professional sites, without having to have previous development knowledge. You have no barriers or limitations when it comes to TheGem. After completing the purchase, the installation of this theme takes a couple of minutes and to be even easier, it comes with more than 50 already designed concepts ready to use and over 150 pre-built demos. These make it really easy to experiment with the layouts and see which you like the best. Kallyas is a practical multipurpose eCommerce WordPress theme. It comes with dozens of ready to use homepages and demos especially crafted to suit various niches. Kallyas has very good reviews, and it comes with a premium support team. Using the included visual builder, you can personalized and perfect your page layouts to fit your vision. It has over 100 pre-built elements to choose from and it is bundled with the premium plugin Revolution slider. Kalium has a creative, innovative and professional design as well as multiple features that make it suitable for various purposes and interests. 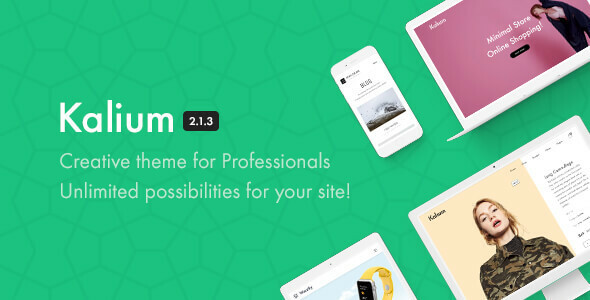 Leave yourself in the capable hands of this theme and let Kalium showcase your content in the best way possible. Choose one from the already pre-made demos that will best suit your needs, and have your sample website in minutes. From blog and fashion websites to travel and education there is nothing you cannot do with Kalium. The typography management library is incredibly unique packing an impressive 4000+ available font options. Visual composer, revolution slider, layer slider and product size guide premium plugins come along with the theme. Infinite is without a doubt one of Envato’s most stunning themes. It is highly customizable, fully flexible, comes with an incredible array of features, and it is responsive and retina ready. This theme was launched over a year ago and already had impressive updates that keep improving it. Infinite was nominated for various awards, which is saying a lot for a rather new product. Its drag & drop page builder is intuitive and easy to use and will help you create awesome layouts in a couple of minutes. Infinite also provides more than 20 pixel perfect demos to simplify your work. Designed and developed by HardcoreThemes, Fi-Print is a sophisticated and clean premium theme. Featuring several already built award winning demo homepages and multiple inner pages, Fi-Print will leave little for you to do other than launch the website. It comes with not one, but two page builders: Visual Composer and SiteOrigin, to make it even easier to customize your theme. Each month they add a new awesome design and improve the theme constantly. Their support team is available 24/7 ready to help anyone with even minor issues. Make your website stand out from the masses with Fi-Print! Elegant and professional, Werkstatt is not only a theme but a tool to help you showcase your work and impress your visitors. Werkstatt is highly customizable and you are able to make your own beautiful layouts in a few minutes. It also offers several pre-built demos you can choose from if you want to keep it simple. Werkstatt has an extremely responsive and retina ready design that will never fail you or your visitors, no matter the device or screen sizes used to reach the website. This theme also includes 6 different animations, woocommerce compatibility, several layouts for menus, over 800 font options, and different and unique page layouts. Always stay relevant among your competition with H-Code and release your creative mind to create a beautiful work of art to display your content. You can experience as much as you want with this theme, because it offers unlimited customizable elements. There are over 50 out of the box and ready to use homepage layouts built specially for startups and small businesses. Individualize your content and with the latest trends in design to have the best chance of standing out. Your website has few changes to look like any other website, thanks to the diversity H-Code brings to the table: 31 multipage demos, 26 one page demos, 6 intros and over 200 elements and shortcodes. Take your website to the next level! 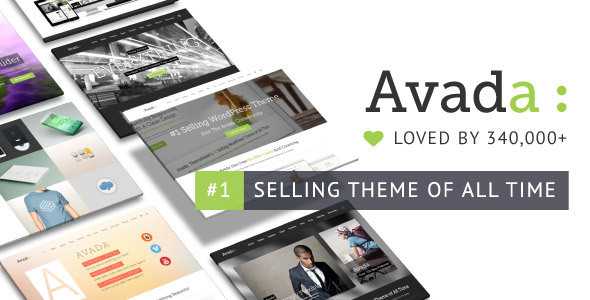 With over 350,000 sales, Avada is the #1 best-selling WordPress themes on Theme Forest because of its versatility and flexibility. You can craft any website using it, and it is highly intuitive and easy to use. It has the best demo imported on the market with which you can import full demos, partial ones or remove the content. If you are not satisfied with either of the incredible page layout of Avada, you can create your own with the integrate Fusion builder. This theme is one of the best! X The theme is a very popular, well-designed, flexible responsive multi-purpose WordPress theme. It is intended for any sorts of websites and has many prebuilt demos for non-profit, auto, gym, app, and shops. X The theme uses Cornerstone page builder to achieve any design you can possibly think of. It comes with a fully responsive layout, over 600 typography options, amazing shortcodes, dozens of navigation options, one page layouts, unique search function, multiple portfolio options, and many more impressive features. 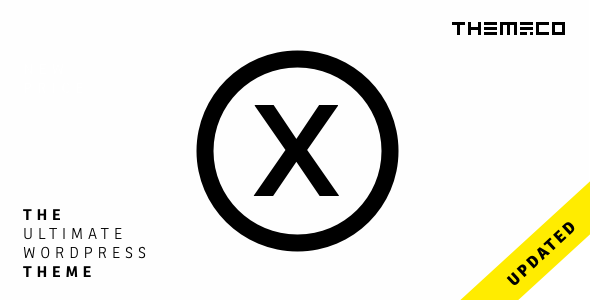 X The theme is a powerful tool to have – check it out. Created by a Power Elite author and with over 20,000 sales, it is safe to say Uncode is an amazing premium theme. It is multipurpose and it can be used for various websites from news, food, and travel to music and photography blogs. Visual Composer drag & drop page builder, Revolution Slider, and LayerSlider come bundled with it, and this is not small thing as they are beyond useful plugins. Uncode also comes with over 40 incredible demo layouts that you can choose from to give you a head start in your development. If you are looking for an innovative, clear and modern theme then Uncode is the choice for you. You can tell Montserrat was designed and developed by a passionate team because of their attention to details and how incredible useful this theme is. This theme is flexible, intuitive and has plenty of features, all just a mouse click away. Twelve demos are included with Montserrat, all of them versatile and easy to customize and tweak. The theme comes with the two most powerful premium plugins Visual Composer and Revolution Slider. 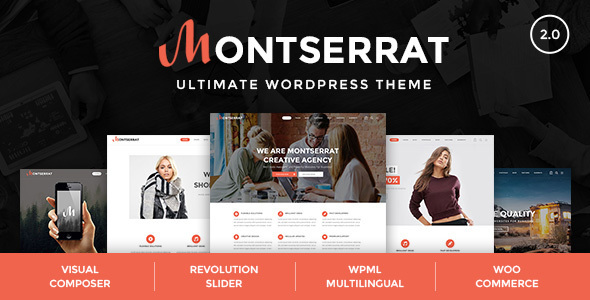 Montserrat includes an intuitive panel admin, 50+ powerful elements, unlimited fonts and colors, advanced headers, and a smooth parallax effect. If you want to see more, check out the live preview or the documentation. Specular is a modern, clean, reliable and responsive WordPress multipurpose premium theme. Specular has a lot of potential for crafting engaging websites in a few moments. You can design and create countless websites for a range of industries and interests. Specular includes powerful plugins such as Revolution Slider, Visual Composer and Layer Slider which make this theme even more interactive and enhance the overall experience. Most of the visitors on your website will certainly be dazzled and impressed by the theme’s aesthetically pleasing look. 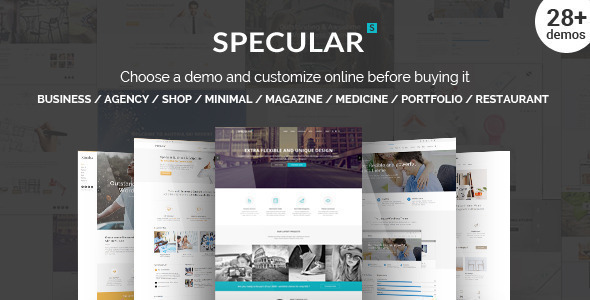 Specular in the best solution for developing beautiful websites! 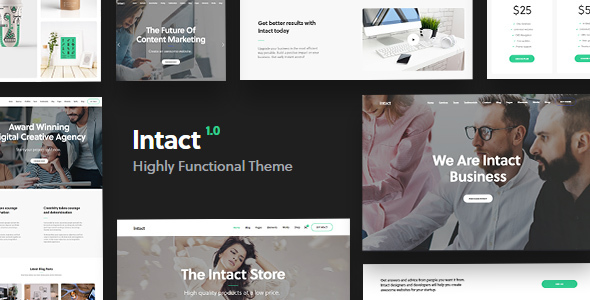 Intact is a multipurpose WordPress theme that has integrates a variety of useful features and stunning design elements. It has developed to easily fit any website, regardless of its niche. Intact comes with the versatile Visual Composer plugin, a great addition to the theme. Furthermore, it provides over 10 demos which can be easily imported through the one-click demo importer. Regardless which demo you select, the result will be amazing. Intact has a total of 30 Visual Composer elements easy to use and utilize. With over 25,000 sales, a 4.8 average rating based on 1380 ratings, Total is a complete theme, which is why it is so popular and beloved. 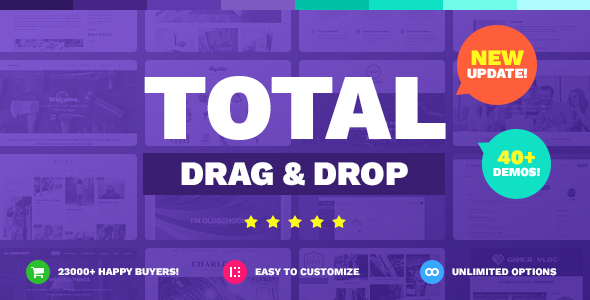 Its name says it all, Total is the last theme you will ever buy because of its versatility and impressive features. Total has over 100 custom page building elements to help create the website you need each time – there is nothing you cannot build with this amazing theme. Tweak its design using the live customizer using the unlimited color option, fonts, layout, and post entries. Using Visual Composer you can also design and create your own footer and header without any coding experience. The premium plugins included with Total are Revolution slider, Visual Composer, Templatera, and Layer slider. Total is also translation ready to give you access to multiple markets all over the world. 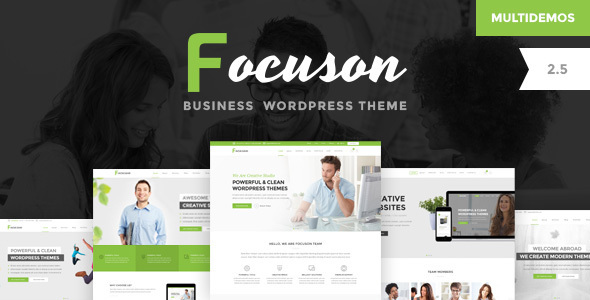 Focuson is a premium theme filled with great features making it one of the best on the market. 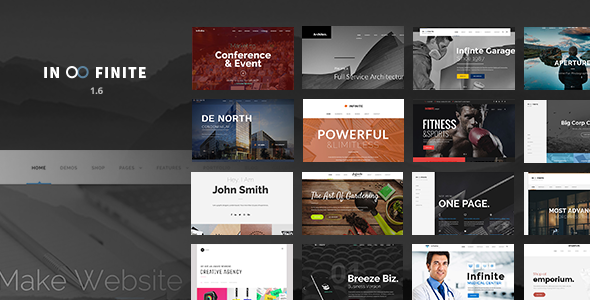 This theme is highly versatile and lets you create websites for all niches. 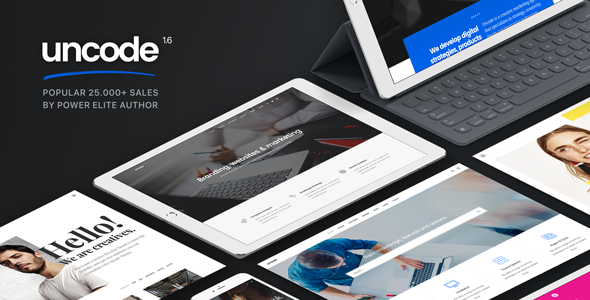 Focuson was selected by the Envato team as one of the best themes in their Corporate Collection for June 2017. If you are undecided on how you want your website to look, rest assured because Focuson has various pixel perfect and unique demos to choose from. It currently incorporates the slider revolution, visual composer, a powerful admin panel, translations, SEO optimized code, more than 50 customizable design elements and much more. You can easily shape and mold Focuson into the design you have in mind. Creating a website has never been easier than with Jevelin, an awesome multi-purpose premium WordPress theme. The developers are constantly adding new demos to their already impressive portfolio so anyone can have sample content to start with. The theme options panel is packed with features and customizations and the theme also comes with two powerful plugins: Unyson Drag and Drop builder and Revolution Slider. You will also stop worrying about SEO optimizations because Jevelin has your back with this as well – the theme being already SEO optimized. Take advantage of the video tutorials and set up your website just the way you always wanted with Jevelin! 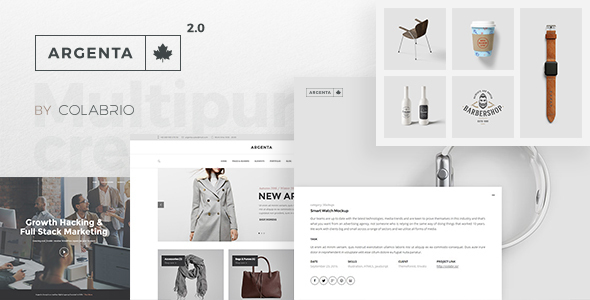 With over 70,000 sales and an impressive rating of 4.80, is one of the best multipurpose themes on the Envato market currently. It offers over 270 prebuilt demos, so you literally use it for anything from travel, automotive, news to medical, restaurant and gaming websites. 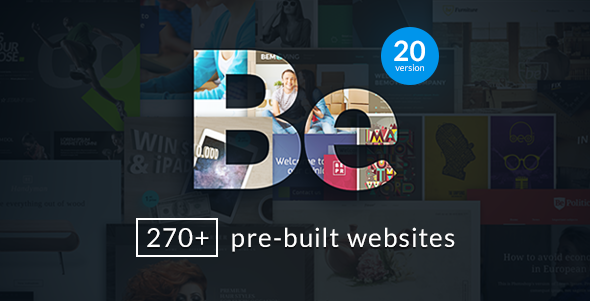 BeTheme has an integrated builder to help you create and design things yourself. It also comes with a slide side menu, 20 header layouts, various pages layouts, a powerful admin panel, and a shortcode generator. You cannot go wrong with this theme. Argenta is a creative, versatile, stunning, clean and responsive WordPress theme. This theme is the pinnacle of multipurpose and diversity, and it can handle any type of content thrown at it. Argenta is stylish, dynamic, and flexible and it comes with more than 18 of demos that prove this. It is immensely intuitive, easy to customize and fully responsive. Argenta comes packed with amazing features such as RTL and WPML support, tons of shortcodes, stylish page layouts, premium icon fonts, SEO optimization, and versatile blog layouts. Massive Dynamic is not a theme to overlook. It has an elegant and stylish design all while being intuitive and concise. 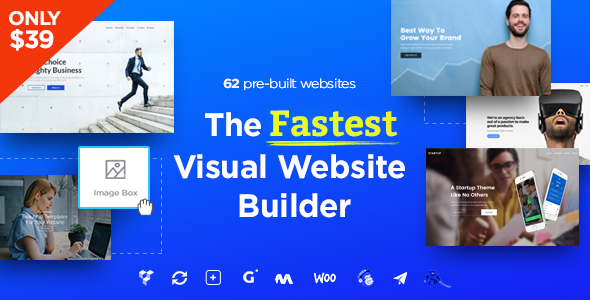 This powerful website builder was designed and equipped with several incredibly useful features for any kind of business. One of its most unique features is the visual website builder integrated with the theme that will help you make changes to the design without have coding knowledge; with it you can build a website in literally minutes. If that is now fast enough for you, then it comes with 60+ already built demo websites you can choose from. The possibilities are endless with this theme! Shopkeeper is a sleek, intuitive, and fast responsive WordPress theme. Shopkeeper has been crafted as the ideal platform to develop a stunning and beautiful ecommerce website without previous knowledge in design and development. Shopkeeper takes care of everything for you starting with the premade demo available that can be used to launch a website in hours. All its versatility is available through its powerful live customizer to track your changes in real time. It includes various layouts for the product page, YouTube video support, modern blog layouts, and an extensive documentation. This multipurpose WordPress theme comes with 50+ good to go shops with only one minute installation. This addition comes in handy for beginners and advanced WordPress users alike. 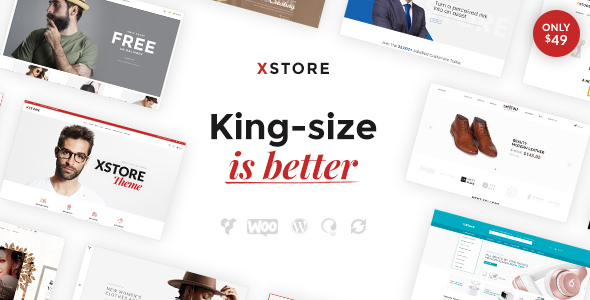 XStore is very responsive and it will efficiently adapt to any screen size. 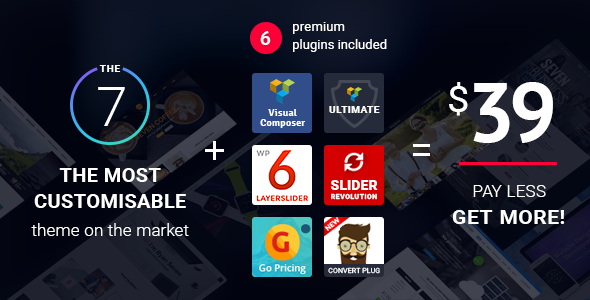 XStore comes bundled with 9 popular premium plugins that will save you over $200. It also includes over 200 PSD files which you can freely use. Showcase your products in the best way with XStore and its various single product page layouts. 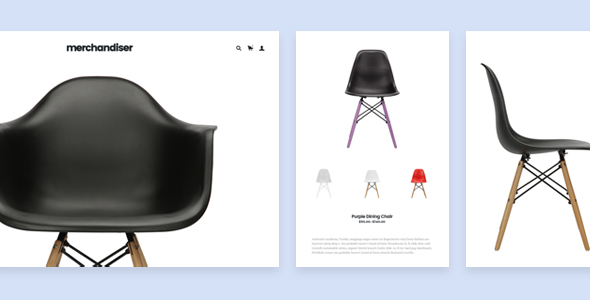 Using the catalog mode, you will be able to easily present your products in a modern and memorable way. Each of the premium themes presented above is fully packed with useful features and can be a great starting platform for any kind of website you want to run. Because of this, I am positive you have found the best WordPress theme for you! Don’t hesitate to leave us your thoughts in the comments below.